Although we had a fabulous Halloween Party on the Saturday before Halloween (click here for pictures), Erin and I were not satisfied. We took our silver and gold costumes down to Charleston on Halloween night, specifically down to the Music Farm. 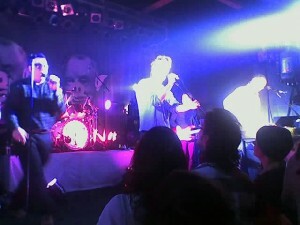 They Might Be Giants, one of our favorite bands ever, was in town to do a show. It was completely awesome and fun. 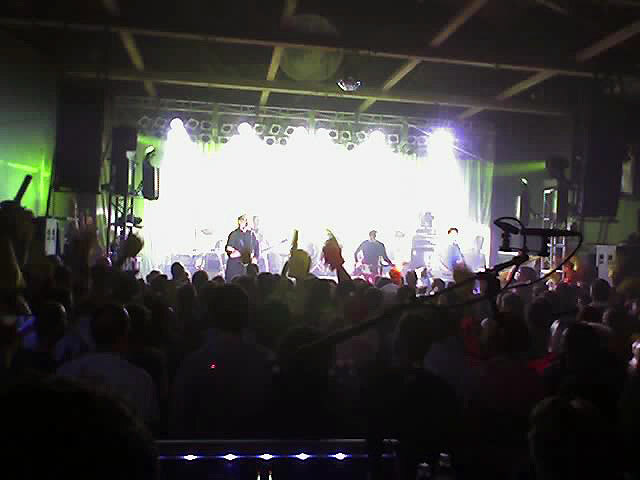 They Might Be Giants (TMBG) like to rock the party. We started out far away. After the mysterious Congo line incident, we were at the stage. We were so close, we could make eye contact with the two Johns for the rest of the evening. It’s hard to miss silver & gold-tinseled hair girls, especially when one of them is 6’5″ in her silver heels.